Moscow is on the verge of breaking up NATO from inside and walking away with $2.5 billion to boot thanks to Turkish President Recep Erdoğan’s decision to purchase the Russian S-400 air defence system, wrote Russian political analyst Vladimir Frolov for the Moscow times. The political and economic victory that Russia will gain through the Turkey’s decision to go through with the S-400 system deal will give Russia an upper hand over both NATO and the United States, Frolov said. Washington has tried to block the deal ever since Moscow and Ankara announced it in December 2017, citing the system’s incompatible with NATO air defence systems, the article said, noting however that it was later revealed that NATO missiles can be fitted to the S-400. Washington later asserted its main argument that the S-400 is incompatible with its newest fifth-generation F-35 fighter jet that should serve as the main aircraft of the NATO Air Force. That news, he wrote, triggered a “slow train wreck” in U.S.-Turkish relations. Ankara is expected to receive more than 100 F-35s by 2023 as replacements for its outdated F-16 aircraft and the F-35 engine maintenance centre is being set up in Turkey to serve the European region. Turkey has already invested $1.25 billion in the F-35 programme and participation in it would have brought the Turkish military-industrial complex $12 billion, more than offsetting the $9 billion - $10 billion price tag for Turkey’s new batch of jets. For the U.S Turkey’s role in the production of the F-35 created a powerful ecosystem of influence on Ankara’s policy and support for Washington’s leadership in the Alliance. That honeymoon might soon be over. The U.S. now is threatening to block Turkey’s participation in the F-35 project and imposing sanctions, a move that would deliver a blow to Turkey’s already unstable economy. Erdoğan is bent on buying the S-400, because he feels personally insulted by the United States, according to Frolov, who noted that Washington has neglected the security interests of its ally in Syria. "First, it left Turkey to go it alone against Moscow, refusing to help when Russian forces defeated Turkish allies in Syria. Next, the U.S. overruled Turkish objections and armed Syrian Kurds from the Syrian Democratic Forces, transferring to their control an important part of Syrian territory that borders Turkey. Nor has it helped bilateral relations that the U.S. has refused to extradite the man Erdogan considers his main political opponent, Islamic scholar and preacher Fethullah Gulen…" the Moscow Times article stressed. 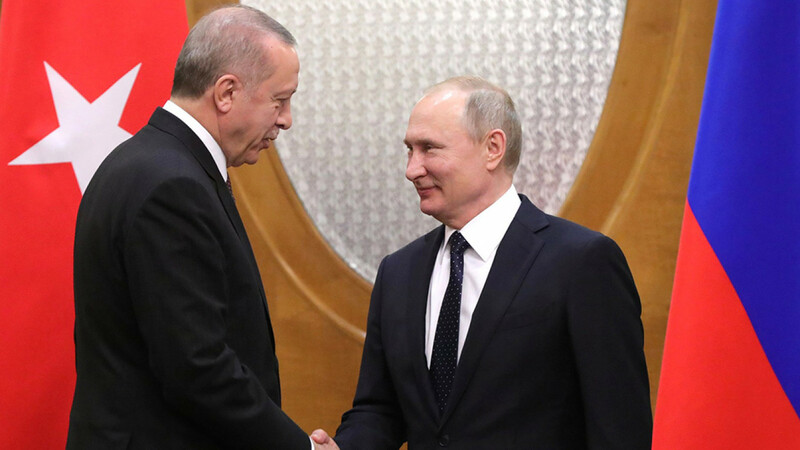 All this has worked to the advantage of Moscow which played its hand brilliantly, using Erdogan’s distrust of Washington to “bait and hook him,” Frolov wrote, noting that Russia has only to reel the Turkish president in. Having Turkey play the “troublemaker” in NATO, Frolov concluded, will allow for Ankara to put in a good word for Russia and ensure its security in the Black Sea. Opinion | Russia is on the verge of a resounding victory over NATO and the United States.